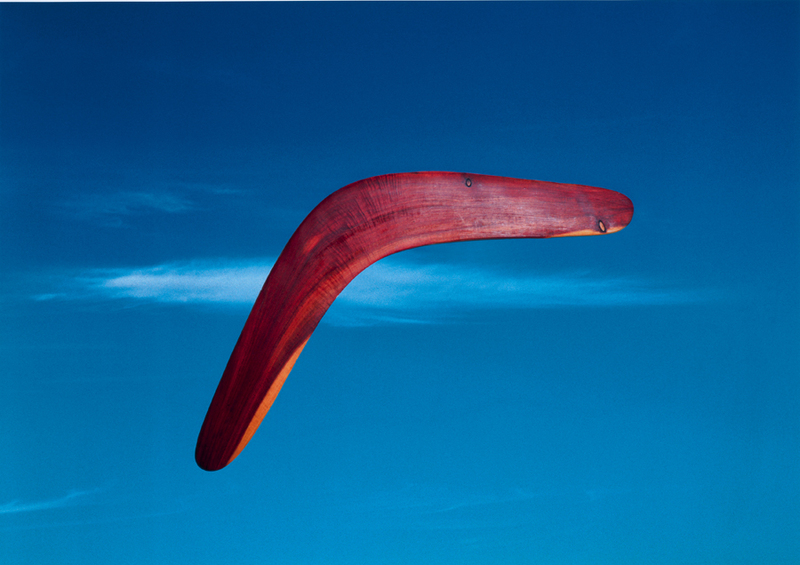 Michael Riley Untitled Boomerang from the cloud series inkjet print UTS ART Collection on loan from the Corrigan Collection © Michael Riley Foundation/Licensed by Viscopy, 2013. Born 1960 Dubbo, New South Wales. 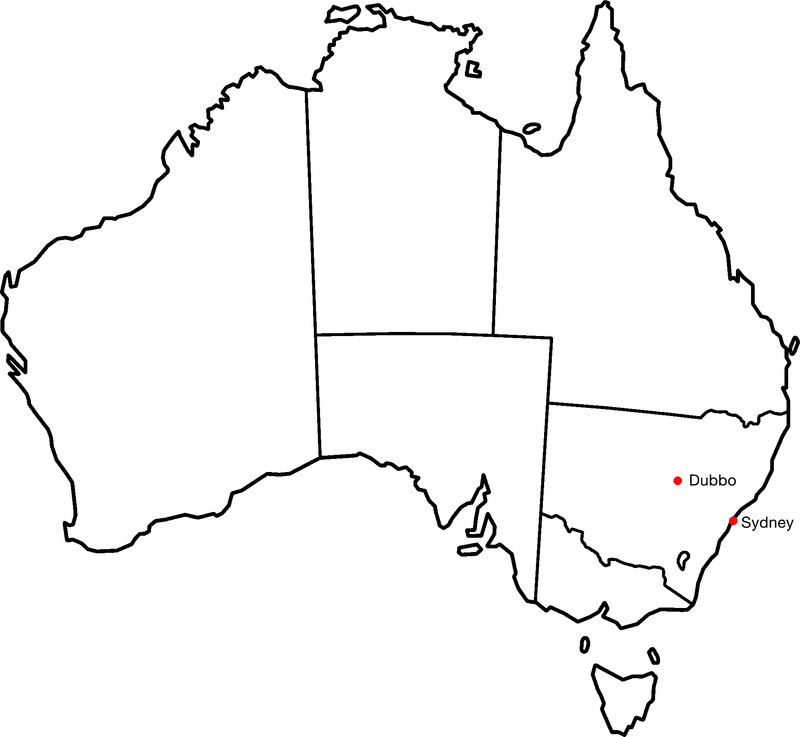 Wiradjuri/Gamilaroi people. Died 2004. This image is one of ten digital photographs comprising the acclaimed cloud series by Michael Riley. It was the last photographic series he produced before his death in 2004 after a long battle with illness. 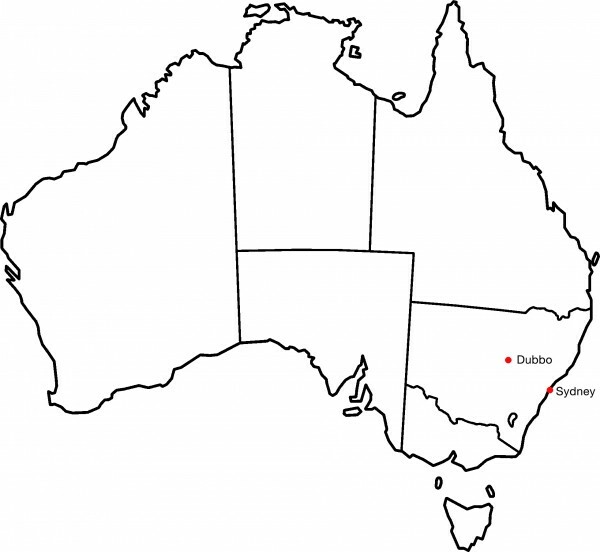 Riley had a catholic upbringing in Dubbo, NSW. His many photographic series preceding cloud reflect Riley’s assertion of his Indigenous heritage and his struggle with conflicting religious and spiritual beliefs. The cloud series consist of ten objects floating in a lightly clouded brilliant blue sky. The objects are all powerfully loaded symbols reflecting both Riley’s culture as an Indigenous man and his upbringing as a catholic in rural Australia. In the series there is a boomerang, a bible, a cow, a locust, the backs of marble angels, a feather and three wings. Cloud was quite a resolved exhibition for me, in that it brought all elements together: my childhood, the Christianity from my childhood, the problems with that, and also histories of Aboriginal peoples. I tried to make connections by showing things like the cow floating in an ethereal sort of sky – a strange animal to Aboriginal people, yet it’s also an animal Aboriginal people would kill when food supplies were running out. Aboriginal people would actually be shot or hunted down for doing these things, for trying to survive, themselves. The feather, almost suspended in the sky, could also be quite a heavy thing. I see the feather, myself, as sort of a messenger, sending messages onto people and community and places. Visit Michael Riley’s website to see the other images in the cloud series and his other works.